Nitrous is fun. Its a great way to make a ton of power. You just need to make sure you have everything in place to be able to support the system. Do it right, and you pick up seconds in the quarter mile. Do it wrong, and you pick up pieces from under the car. I ran nitrous on Big Bird back in 2001, and I had a great time with it. 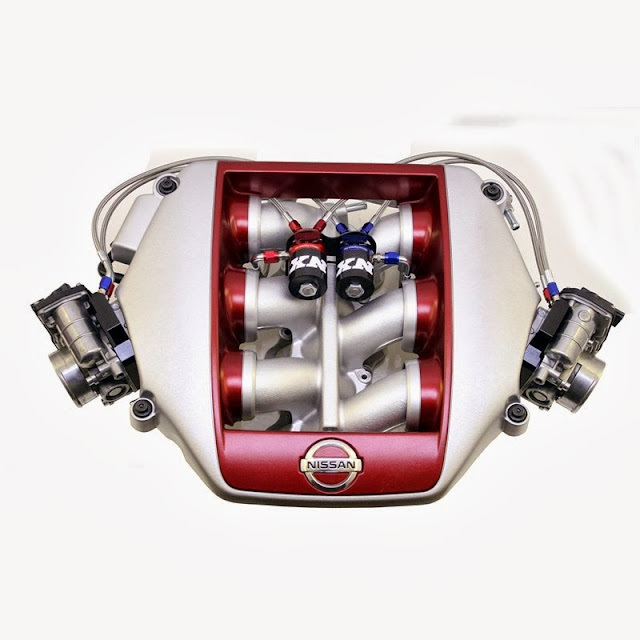 Nitrous Express has combined performance, quality and easy installation in this new nitrous system engineered specifically for the Nissan GTR. The system includes twin billet aluminum nitrous plates that bolt between the throttle bodies and the intake manifold for an easy install and excellent aesthetics. 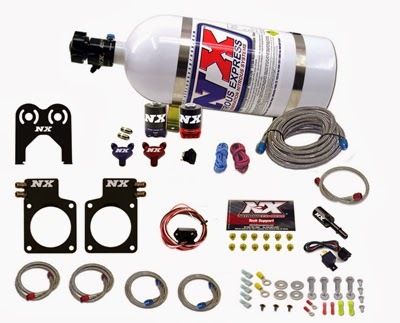 This system includes an Autolearn TPS module which allows the nitrous to activate only at wide open throttle. A direct-plug-in Fuel Line Adapter is provided to simplify installation (no need to cut your factory fuel lines). This system also includes billet aluminum and carbon fiber Lightning series solenoids, stainless braided N2O line, master arming switch, relay, relay harness and all necessary hardware to complete the installation. Includes jetting for 35, 70, 100, 150, 200, 250 and 300HP. Systems with bottles include the billet aluminum lightning 45 bottle valve and stainless bottle brackets. For more information, visit www.nitrousexpress.com.